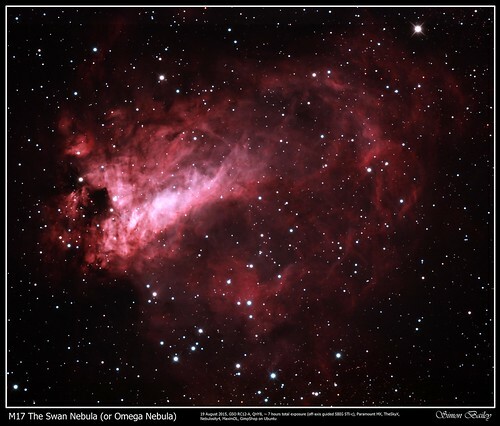 A bright emission nebula about 5000 light years away, in northern Sagittarius that is part of an enormous cloud of molecular gas in which star formation is still taking place or has stopped only recently. 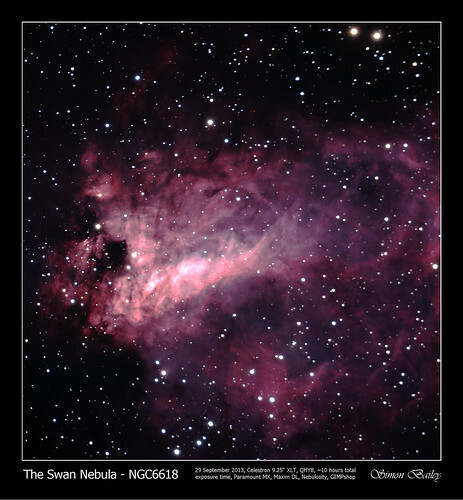 While the visible nebula is about 15 light-years across, the total gaseous cloud, including low-luminosity material, extends to at least 40 light-years. More detail on this nebula, including a comparison of the light gathering capacity for this subject between the C9.25 and GSO RC12-A, is in this post.